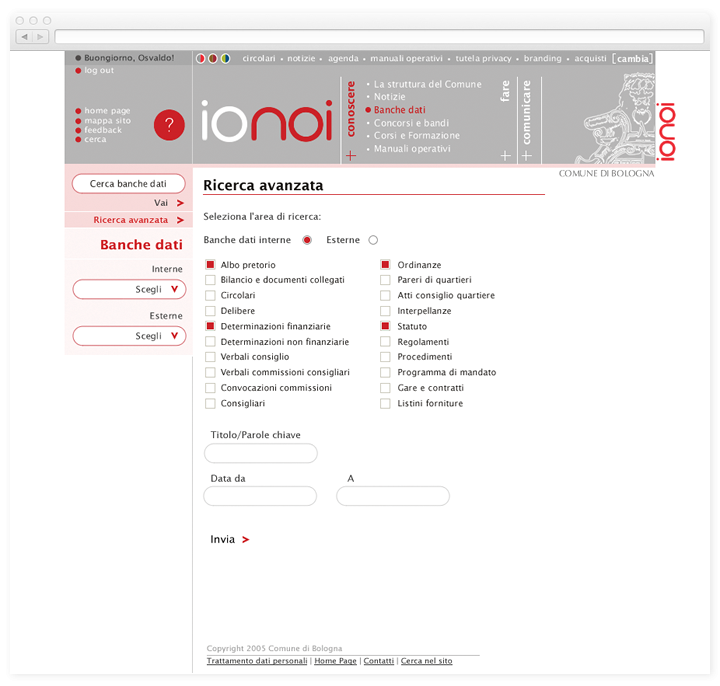 User experience design, information architecture, design and implementation of the Intranet of the Bologna city council (Italy), which is used daily by over 3,500 people. 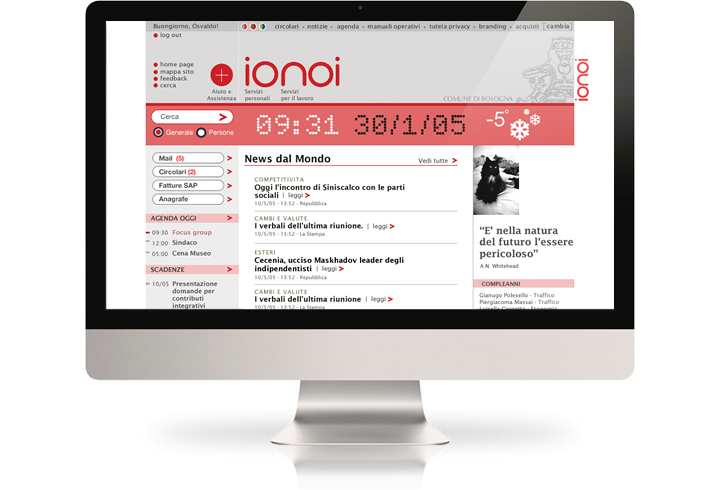 Instead of a traditional information structure based on functions, we have conceived a metaphorical approach based upon the concepts of IO (meaning me, the employee), dealing with personal information and relationship with the council and NOI (meaning us, working together), which deals with shared information and tasks. Each new project introduce a new challenge. 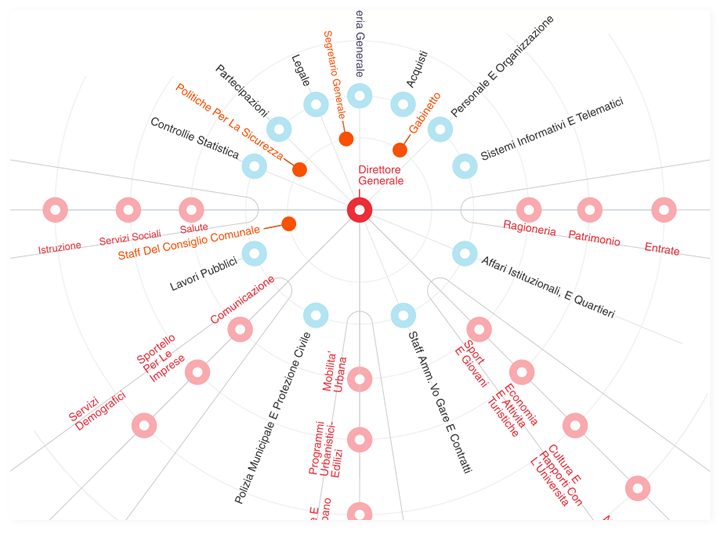 In this case, we needed to find a way to represent the complexity of the council structure with departments at various levels, for the benefit of the employees. 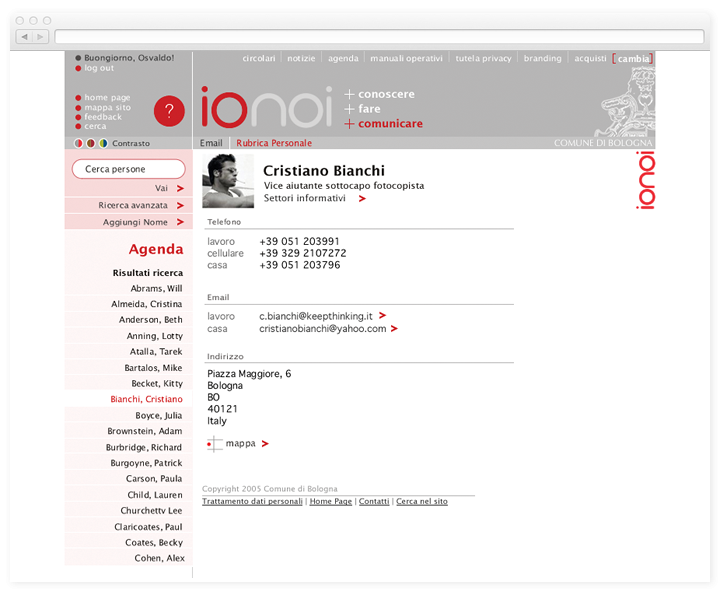 The diagram also formed the basis for the information architecture of the Intranet. The home page is much more than a list of news and articles. 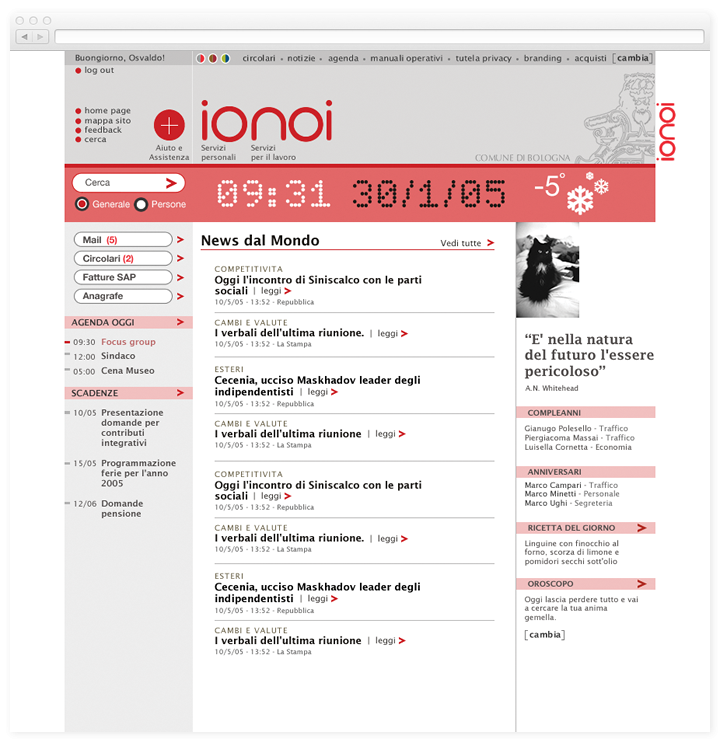 It shows birthdays, the current weather, an image and quote of the day, cinema shows, joiners and leavers, etc. in an attempt to create a more personal approach to working together. News may be as simple as lists it items, or categorised, with or without introduction and images, with complete flexibility. This helps creating list of union topics, among others, which need an introduction text for each of the unions. 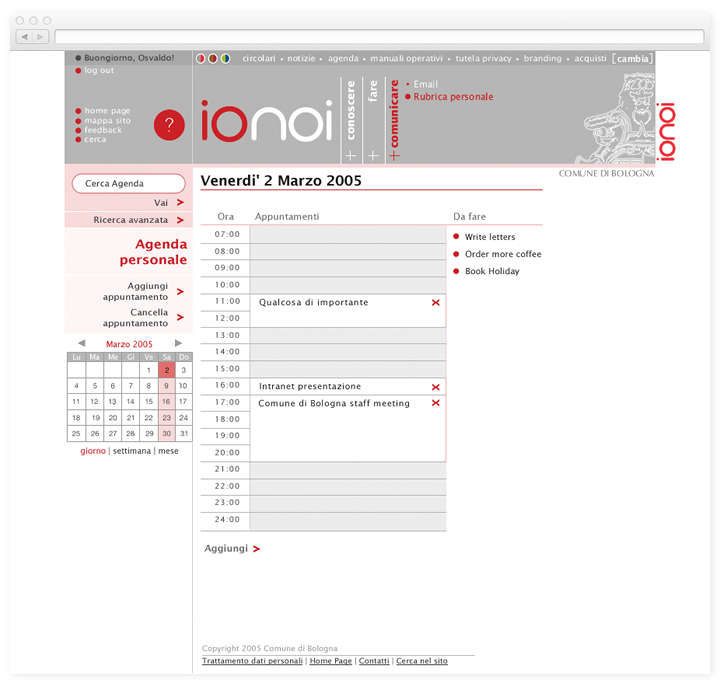 Calendar, email and tasks lists are all integrated and synchronised with desktop computers and mobiles. Bologna is a large council with over half a million inhabitants. 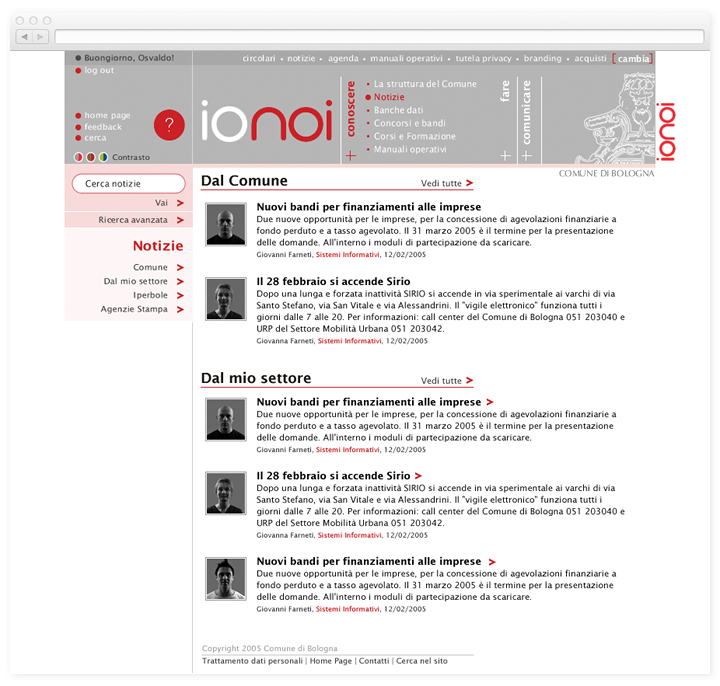 The content managed by the council and represented on the Intranet is large, complex and multi-source. A sophisticated search engine has been integrated to allow precise queries.